By Harry Dacres-Dixon in ECR Minerals (ECR) on 10th May 2018 . Earth Resources, under a number of different guises, has been involved in facilitating and regulating mining in Victoria since 1853. We have retained a large amount of historical information on mining, accessible via the Earth Resources Search Assistant. It is only in recent years that Victoria’s total gold production has been surpassed by Western Australia’s. This is something of a surprise for most people, yet it emphasises the richness of the gold resource of Victoria, particularly if comparisons are made between the intensity of exploration in each area. The WA goldfields have been the subject of six separate development phases in the 100 years since the 1890s. Victoria has had only one since 1850, with the second now under way. The first “officially” recognised claim to have found gold in Victoria was in 1850 near Clunes by James Esmond – a “veteran” of the California goldrushes. It was the discovery of gold at Ballarat in 1851 that resulted in Victoria’s gold boom. Ballarat was recognised as probably the richest alluvial goldfield in the world at its peak between 1852 and 1853. The rush spilled over to the Mt Alexander field at Castlemaine and by December 1851 the field had attracted 20,000 diggers and was yielding 23,000 oz of gold a week! The search moved further north to the fabulous finds at Bendigo and in April 1852, two adjacent claims at Peg Leg Gully yielded a total of 324 pounds of gold. The riches of nearby Eagle Hawk Gully were like a magnet, with up to 6,000 diggers joining the rush each week. By June 1852 Bendigo had a population of 40,000. Through 1853 there were discoveries at Daylesford, Creswick, Maryborough and Maldon. In the second half of the 1850s there were rushes to the west – St Arnaud, Ararat and Stawell as well as Rutherglen and Chiltern – and the mountains of the east, with discoveries at Beechworth, Jamieson and Walhalla. But by the early 1860s the Victorian gold rushes had virtually ended as the diggers moved north to New South Wales, then Queensland and across to WA. Victoria’s first quartz crushing battery was set up in 1853 after reef mining began at Specimen Hill. Reef mining had moved in to Ballarat, Bendigo, Clunes and Walhalla as the diggers moved out, and long term underground mining operations provided the basis for major regional populations. There was a brief rush to Tarnagulla in central Victoria in 1906 following the discovery of the Poseidon Nuggets – the largest being 953 oz. But the Ballarat and Bendigo mines fell silent by the 1920s and despite a brief flurry during the Great Depression, the gold mining industry lay dormant until the 1980s. Higher gold prices at that time saw a surge in prospecting and fossicking – largely using electronic detectors – as well as the return of full scale mining operations to Stawell and Woods Point. In the 1990’s, the level of activity in Victoria has escalated sharply, with new mines opened and a significant increase in the level of expenditure on exploration. 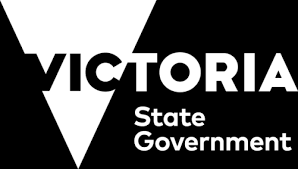 Information available through the Victorian Initiative for Minerals and Petroleum (VIMP) has acted as a catalyst for a rise in the number of applications for exploration licences in surveyed areas. Most attention is on gold and this has been concentrated on areas of historical production, such as Ballarat, Bendigo, Stawell, Fosterville, Maldon, Heathcote, Castlemaine, Tarnagulla, etc. In 1998/99 Victoria had 12 major gold mining operations, which produced 4.95 t gold. The various mining projects are outlined in the Victorian Mineral Projects Register. Victoria has produced over 2,400 tonnes of gold – which is 32 per cent of all the gold mined in Australia and 2 per cent of all the gold ever mined in the world (Only WA, with 3,275.8 tonnes has produced more gold – and much of that has come from the booms of the last two decades where new technology has played a crucial role both in the discovery and the extraction of gold). On a yield per area basis, Victoria has produced an average of 10.8kg of gold / km2 – an order of magnitude greater than any other Australian state. The Long Tunnel Mine at Walhalla – 1,033,792 t ore for 32.3 t gold. The Port Phillip Co at Clunes – 1,224,187 t ore for 16.0 t gold. The Band of Hope and Albion Consols at Ballarat produced 16.3 t gold. The Madam Berry Mine at Creswick produced more than 12 t gold from a lease just half a kilometre long. The average grade was 40 gm/m3. The Chiltern Valley Gold Mine at Chiltern produced 9.5 t gold. Garden Gully line at Bendigo, which produced 5.076 m t ore for 85.7 t gold. The New Chum line, Bendigo, produced 3.061 m t ore for 64.9 t gold. Stawell, where five companies produced 3.45 m t ore for 61.1 t gold. Golden Point Lead at Ballarat – 28.5 t gold. The Berry Lead at Creswick – 24.2 t gold. The Great Northern Lead at Chiltern – 19.8 t gold. These figures stand comparison with any of the present day mines operating anywhere in Australia. Gold production for the years 1999-2008 has averaged over 4.6 t per year, with the biggest producers being Stawell, Fosterville, Tarnagulla, Bendigo and Costerfield.